There is a lot more to colors than simply what falls to your retina. Colors have a powerful psychological impact on you. They can drive you to make certain decision and choices and they can evoke in you certain reactions and sentiments. Red – The color of passion, excitement and commitment, red is widely used in automotive and food industries to stir emotional responses. Orange – The orange color indicates playfulness and enthusiasm. Implementation of different shades of orange can be seen in entertainment. Yellow – Bright as sunshine, yellow color incites hunger. From McDonald’s to Subway, yellow is the color for Fast Food brands. Blue – The most used color around the world, blue color is known for its professional appeal and calmness. Blue is everyone’s favorite and used across industries. Green – The color of nature. It conveys a feeling of warmth and association. Hence, it is used by healthcare, real-estate and organizations where eco-friendliness is a priority. Grey – The grey color ensues a neutral effect that is hard to ignore in design. It also denotes tech-savviness and corporate feel, making it perfect for tech and banking sector. Why color is important in branding? 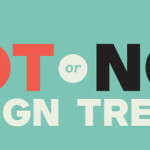 The use of right colors, coupled with the right use of designing and branding, can help your brand reach to the whole new levels of notoriety. This expressive phenomenon of light, can help your brand stimulate just the required reaction in your audience by helping you push all the right buttons to bring about the desired response from them. Ever wondered why all the major food brands like, Mc Donald’s, Hardees and KFC are ever adamant on using the colors, yellow and red in their logos? Ever pondered over why almost all social media sites prefer blue color? Be it Facebook, Twitter, Tumblr or LinkedIn – why the theme is so unwaveringly blue? 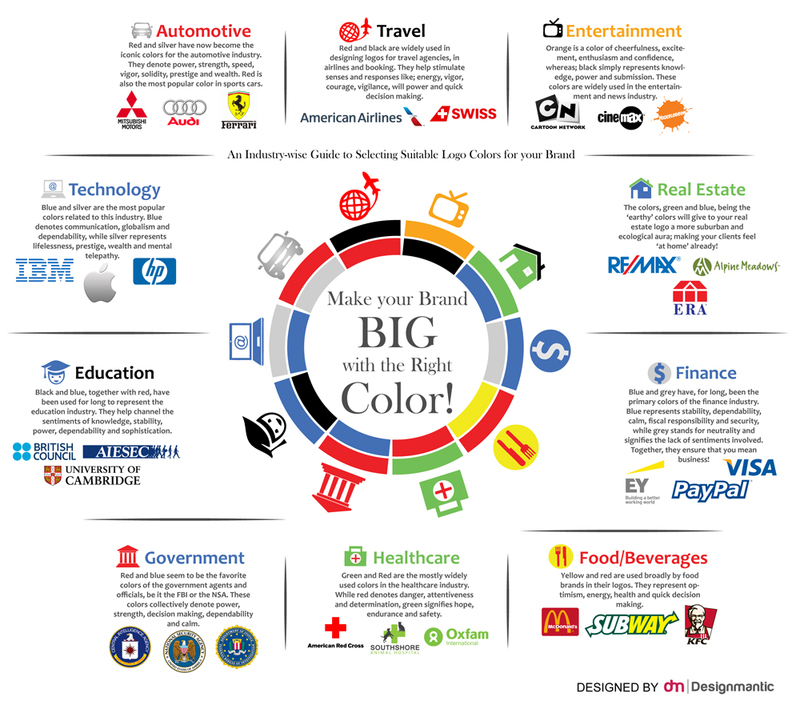 If yes, then here is an infographic that could help grasp a greater understanding of the clever use of colors to the advantage of your brand. It explains how the brands in different industries aim their objectives at different types of audiences. They strive to win over the sentiments of people through clever manipulation of their interface with the help of color psychology. [INFOGRAPHIC] Bride vs. Groom: What Unites Them on the Wedding Day?